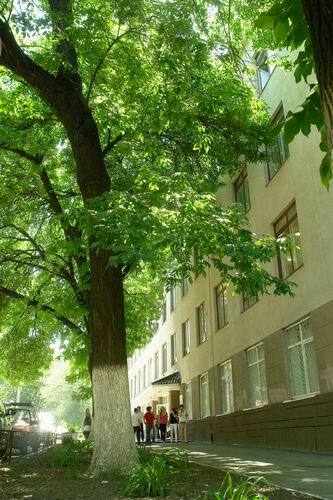 Faculty of Economics at the Dnipropetrovsk State University was established in 1976. Formation and development of the department was accompanied by the reorganization of the existing and opening new chairs. Therefore in 1981 the Chair of Economic Cybernetics in 1989 - the Department of Finance were opened. Nowadays there are ten chairs and about 120 employees, including 12 doctors and professors PhD degree and 40 lecturers have academic rank of assistant professor. Faculty members were awarded with honorary titles: Honored Worker of Science of Ukraine – Professor Grin'ko T.V. ; Award of Excellence in Education of Ukraine – Professors Shevtsova O.Y. and Yakovenko O.G. ; Honored Professor of the Dnipro University – Professors Zelenskaya L.I. and Popkova L.V. ; Honored Lecturer of the Dnipro University – Associate Professors Kartsev Yu.A. and Krytska S.S.; Honored Worker of Dnipro University – Shuvaeva, T.O. 1145 students study at the Faculty of Economics. Technical base of Faculty allows staff to organize profound computer training, computer labs of the Faculty provide access to the Internet. In the building of Faculty of Economics there is library for economists. Among the graduates of the Faculty of Economics there are many leaders of the banking sector and enterprises, government financial agencies, prominent scientists. Dean of the Faculty – Tetyana Valerivna Grynko, Doctor of Sciences in Economics, professor, the member of the Academy of Economic Sciences, Honored Worker of Science and Technology of Ukraine. Deputy Dean of Academic Work – Viktoriya Yevgenivna Redko, PhD, Associate Professor. Deputy Dean of Educational Work – Gvinishashvili Tetyana Zurabivna, PhD, Associate Professor. . Faculty of Economics provides training in "Economics and Entrepreneurship" in two educational levels: Bachelor and Master with full-time and part-time study. - 292 International Economic Relations (educational programs: "International Economic Relations" and "International Economics"). During the period of education, the students have research practices in industrial enterprises, organizations, institutions of different kinds. Trainees study the socio-economic condition of the company, are introduced to methods of production management, sales, marketing activities and collect materials for writing diploma of Bachelor and Master. Possible employment of graduates: in public institutions - National Bank and banking system of Ukraine, State Tax Service, Treasury, Financial Management, Audit Bureau, government agencies, state enterprises, government agencies, educational institutions, research institutions, and in private sector - commercial banks, investment, financial and insurance companies, advertising, exhibition and trade fair companies, auditing and consulting, logistics companies, industrial, commercial companies, stock exchanges and other commercial structures. Research activities of students are carried out under the guidance of individual faculty of leading scholars in the mainstream research topics on the state budget, which covers the formation of market relations and the establishment and development of business in Ukraine, the effective use of financial resources entities. Important area of state budget issues is the development and use of mathematical methods and models in economics and the development of systems of innovation and investment process in Ukraine. 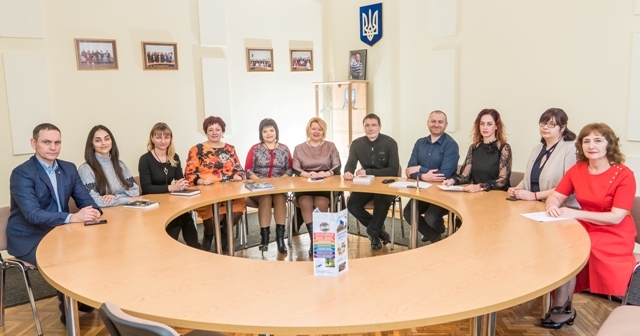 Departments of the Faculty maintain research links with leading universities of Ukraine, National Bank Office in Dnipro, Dnipro banking union, State Commission for Regulation of Financial Services. Faculty keeps training of scientific and pedagogical staff through postgraduate and doctoral studies in specialties 08.00.03 - Economy and Management of National Economy , 08.00.04 - Economy and management, 08.00.08 - Finance , monetary circulation and credit, 08.00.11 - Mathematical Methods, models and Information technologies in Economics. Presentation of dissertations carried out in specialized scientific council 08.051.13 K DNU Oles Gonchar for the degree of candidate of economic sciences, specialty 08.00.08 - Money , Finance and Credit , in the specialized scientific council D 08.051.03 of DNU council for scientific degree of doctor of Economic Sciences: 08.00.02 - World Economy and International Economic Relations; 08.00.03 - Economy and management of national economy. According to “Regulations on academic mobility of students of Oles Honchar DNU" students and graduates of the Department have the opportunity to study in different programs at universities in Europe (Belgium, Bulgaria, Great Britain, Greece, Germany, Poland, France), the United States, Canada and Russia. Students, graduate students, doctoral students and teachers of Economics Faculty have the opportunity to study by international academic exchange program "ERASMUS MUNDUS-BMU-MID" on the basis of EU funding. The program stipulates 2 semesters study and traineeship on receipt of scholarship in one of 9 partners-universities of West Europe: University of Algarve (Portugal), Humboldt University Berlin (Germany), University of Bologna (Italy), University of Bordeaux 1 (France), University of Deusto (Spain), Pultusk Academy of Humanities (Poland), Aristotle University of Thessaloniki (Greece), University of Turku (Finland), Vilnius University (Lithuania). Oleksiy Shlyam and Ivan Nesterenko, students of the specialty "Economic Cybernetics", gr. EK-09-1, studied under the ERASMUS MUNDUS program at the Faculty of Economics at the University of Aristotle in Thessaloniki (Greece) in 2011-2012. Myroslava Maltseva, the student of the specialty "Business Economics", gr. EP-08-1, in 2011-2012 was a student at the fourth year at the Faculty of Economics at the University of Bologna (Italy) under the international program ERASMUS MUNDUS. Students, post-graduates, doctoral students and faculty members of the Faculty of Economics participate in program of scientific exchanges of USA Fulbright. It is entirely funded by the Fulbright Commission. The program provides training and traineeship with receipt of scholarships and grants in one of the partner universities of the US project. Studying at German universities is possible due to the academic exchange program DAAD. Students individually participate in international project on a competitive basis by concrete academic program or in the framework of existing agreements on cooperation and scientific exchange between universities: the Ingolstadt University of Applied Sciences (Inholshtadt, Germany), University of Lodz (Lodz, Poland) Wroclaw University (Wroclaw, Poland); Poznan University of Economics (Poznan, Poland); University "Professor, Doctor Arsena Zlatarova" (Bourgas, Bulgaria). With their national diploma graduates receive both European diploma and a certificate of the EST. Students of the Faculty of Economics take part in summer and winter schools of economics: Winter Eastern School College of Eastern Europe in Wroclaw and Eastern European Studies at Warsaw University (Anastasiya Kovalenko gr. EP-11m, 2012, Anna Fisun, gr. EO-12m, 2013), in summer school "Cohesion and Socio-Economic Tensions in the Process of International Integration" on the basis of the University of Lodz (Alevtina Ustimenko (EO-10-1), Gordiy Lubkovsky (EF-10-1), 2012); at the College of Europe (Bruges, Belgium), where student I.Lukyanova received a Master's degree in specialty “European Economic Integration and Business”. Students have the opportunity to participate in student conferences, meetings, forums, that are held on the basis of Czestochowa Polytechnics (Czestochowa, Poland), Wroclaw, Jagiellonian Universities (Wroclaw, Krakow, Poland), University named "Professor Dr. Arsen Zlatarov" (Bourgas, Bulgaria). Mykyta Plyasov, the student of specialty "Economic Cybernetics" participated in the project "Traineeship from self-government for Ukraine", which took place on the 26th of November – on the 2nd of December in2011 at the Jagiellonian University (Krakow, Poland). During the visit, the student governments from different parts of Poland advised Mykyta Plyasov as head of student government organization of Oles Honchar DNU under the project, which is coordinated by Students' Parliament of Poland in cooperation with the National Students Council at the Ministry of Education and Science of Ukraine. The event was held under the patronage of prof. Barbara Kudrytska, the Minister of Science and Higher Education of Poland Republic. In 2009-2010 S. Kasyan, deputy dean of international cooperation of Economics Faculty, docent passed traineeship at Wroclaw University through participation in the scholarship scientific program named Leyna Kirkland, Polish-American Association Fulbright, Polish-American Foundation Freedom, from which he successfully graduated with diploma in Wroclaw University. S. Kasyan defended the diploma on the topic "Economical aspects of organizing of significant sport events: the chance or threat for development of city and region”. International scientific conferences are conducted on Faculty of Economics Regular sessions of International student Internet conference on topic "Theory and practice of modern management and pedagogy" occurred. During the conference the presentation of students’ reports and communication with students of Economics faculties and lectures of university named “Professor Doctor Arsen Zlatarov" (Burgas, Bulgaria). 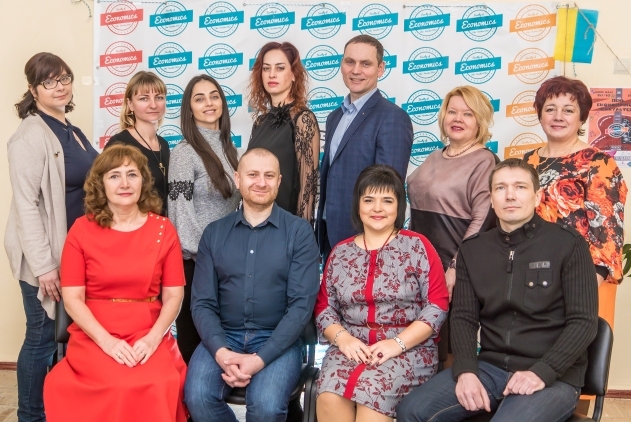 Faculty specialists take the part in the project of modernization of Higher School in EU partners-countries TEMPUS from the re-training of managerial staff for entrepreneurship. In particular, S. Khaminich, the head of Marketing Chair, professor, and docent of economics studies took part in the project for TEMPUS 4 concerning education improvement, methods of competitive specialists’ preparing in the field of management. Interactive electronic database of students, aspirants, doctoral students and lectures Faculty of Economics of DNU is functioned. Objective address distribution of information of international programs, exchange of information reportі bye-mail address promote communication of students of DNU Economics Faculty with their age-mates from Economics Faculties of leading foreign universities in social network, on scientific on-line forums, informational educational chat rooms. Within the project of Canadian Agency for International Development "Potential of Ukraine in the field of regional training and consulting" (CIDA Project Z020532) docent V. Kutsenko took part in seminars on teaching of economics disciplines in Dnipro and Odessa; magistracy student of specialty “Economic cybernetics” Andrew Bulavka, gr. ЕК-12m-1 studies from 3.01.2013 at the department of law, economics and management at the University of city Men (France) for the magisterial program of double diploma. Delegation from Faculty of Economics and Sociology of Lodz University, Lodz (Poland), consisting of: Master Radoslav Dzyuba, Department of World Economy and European Integration had been visited Oles Honchar DNU from 04.04.2012 till 07.04.2012. Radoslav Dzyuba took part in International student scientific conference "Innovativ estate development: problems and prospects with eyes of young scientists". The conference was held at Faculty of Economics. Polish scientist addressed at the plenary meeting with a report: "Certified environmental hotel example of innovation in hotel industry." Delegation from Faculty of Management and Economics of the Services of Szczecin University, city Szczecin (Poland), with canidate of economics sciences, docent Aneta Sokul, canidate of economics sciences, docent Anna Surmach had been stayed at Oles Honchar DNU from 26.09. 2012 to 29.09.2012. The purpose of stay is participation in scientific traineeship, which was conducted on the basis of marketing Chair of DNU Economics faculty. Jacek Luchak, deputy dean for international cooperation of Faculty of Commodity Studies, doctor of economics, professor of Poznan University, city Poznan (Poland), was in Oles Honchar DNU from 02.11.2013 to 02.13.2013. The purpose of stay is meeting with professorial and teaching staff of Economics Faculty of DNU on discussion and preparing of future project TEMPUS and establishment of cooperation between our universities in scientific and educational field. The student council actively works at the Faculty. Students take part in work of the cultural club "Visiting Rector", which holds interesting meetings with well-known masters of the stage of Dnipro theaters: directors, actors, singers. The meeting is headed by Mykola Polakov, the rector of Oles Honchar DNU. Students actively participate in charity events: they collect money for ill children, donate blood, take care of orphans, visit children's house № 1, children's shelter "Nadia" on the residential area "Pobeda", "House of little child", a family-type house on Rodhospna street. Students give sweets, toys, clothes to children, organize concerts, competitions for St. Nicholas Day, Children's Day, New Year holidays. Student's Day and Freshman's Day, as well as Days of banker, accountant, economist, cybernetics, marketer, statistician, financier are organized by Departments of the Faculty. There students prepare programs and speak with teachers. Solemn concerts for New Year, Women’s Day, sport and tourism competitions for Victory Day, various quests, scientific student groups, excursions to enterprises and sights of Ukraine were traditional in university. The Day of Economics Faculty is celebrated in April. Students decorate their buildings; hold competitions at Student Palace as part of an entertaining program, completely composed by students, invite friends and teachers of the Faculty. There is student radio on the Faculty, the programs for which the students prepare themselves and themes are determined by them. They are devoted to festive events, or actual problems of student life. Radio programs contain music, interviews, important messages, and interesting information. The surveys are held by students themselves on the initiative and forces of Faculty Student Council (for instance, "What is needed to make the student's life better" and others). The participants of KVN Faculty team of "Golden Reserve" successfully perform at the interuniversity festival of KVN teams "KaVuN" of Dnipro League and other leagues of Ukraine. The student's group of the Faculty has close ties with student councils of higher educational institutions of Lviv, Odessa and other cities. They organize interesting trips throughout Ukraine to Sofiyivsky park in Uman city, to Odessa on the 1st of April, the holiday of humor, to the Carpathians. Students take part in sport competitions on Cup of Trade Union Committee among dormitories in order to organize meaningful leisure and establish healthy lifestyle. Twice a year (in September and May) a football championship is organized at the Faculty by students themselves. Students of academic groups, streams, foreigners are combined in teams. Their number reaches 15 students. Students visit and assist veterans-teachers of the Faculty. The management of the Faculty and the curators cooperate closely with student council, coordinate their actions, which makes them more effective. The room is set up at the Faculty for student council. There meetings, rehearsals are held. It is also used as premises for rehearsals of the music group. Students of the Faculty take part in the organization of scientific conferences, competitions among high schools of Ukraine. These events are conducted by profile chairs, regional Olympiads of students in economics. Students organize entertaining programs for events participants (acquaintance with the Faculty, city tours, concerts).